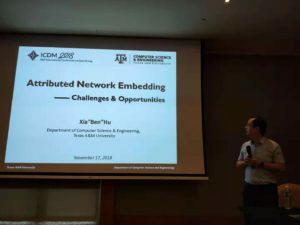 Successfully held in conjunction with IEEE ICDM 2018, November 17, 2018 in Singapore. Thanks to all the 50+ speakers and attendees! Graph is a common representation for relational data. Typical graphs range from professional networks (e.g., LinkedIn), social networks (e.g., Facebook), bibliography networks (e.g., DBLP), to e-commerce networks (e.g., Taobao) and so on. Graph representation learning is a powerful technology to turn the graphs into useful insights. 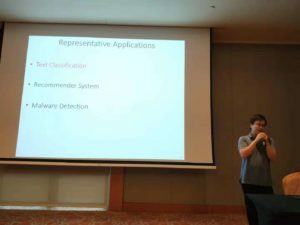 It enables many meaningful applications, such as link prediction, semantic proximity search, user profiling, friend recommendation, and social advertising. We propose to organize a workshop on large-scale graph representation learning and applications (GRLA), in association with The IEEE International Conference on Data Mining (ICDM) 2018. This workshop aims to: 1) contribute to the research development of graph representation learning, and 2) provide a communication platform for both research and industry communities to explore the useful application scenarios in practice. 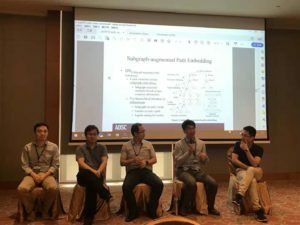 Y. Chu, C.Feng, C. Guo, Y. Wang, and J. Hwang, “Event2vec: Heterogeneous Hypergraph Embedding for Event Data”. Regular Paper. Z. Li, J. Huang, and D. Ding, “Learning Network Representations with Neighboring Affinity”. Regular Paper. I. Al-Hussien, E. Cambria, and N. Zhang, “Semantically Enhanced Models for Commonsense Knowledge Acquisition“. Regular Paper. L. Guo, S. Wang, and Y. Li, “Large Margin Graph Construction for Semi-Supervised Learning”. Short Paper. S. Ivanov, N. Durasov, and E. Burnaev, “Learning Node Embeddings for Influence Set Completion”. Short Paper. 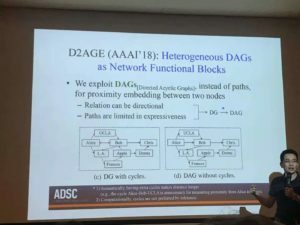 K. Nozawa, M. Kimura, and A. Kanemura, “Analyzing Centralities of Embedded Nodes”. Short Paper. S. Tsepa and M. Panov, “Constructing Graph Node Embeddings via Discrimination of Similarity Distributions”. Short Paper. Title: Automatic Information Fusion with Heterogeneous Information Networks. Title: Engineering Graph Features via Network Functional Blocks. Due to receiving multiple separate requests, the organizing committee has carefully reviewed the situation and decided to extend the deadline. Due to conference paper transfer to our workshop on Sept 7, we decided to extend the acceptance notification by 7 days. Due to conference paper transfer to our workshop on Sept 7, we decided to extend the camera ready deadline by 7 days. Long paper: maximum eight (8) pages, in the IEEE 2-column format, including bibliography and appendices. Short paper: maximum four (4) pages, in the IEEE 2-column format, including bibliography and appendices. All accepted papers will be included in the IEEE ICDM 2018 Workshops Proceedings volume published by IEEE Computer Society Press, and will also be included in the IEEE Xplore Digital Library. Therefore, papers must not have been accepted for publication elsewhere or be under review for another workshop, conferences or journals. Online paper submission site is ICDM-GRLA2018. There is no separate site for short-paper and long-paper. All submissions will be single-blind reviewed by the Program Committee on the basis of technical quality, relevance to scope of the conference, originality, significance, and clarity. Accepted papers will be included into workshop proceedings. 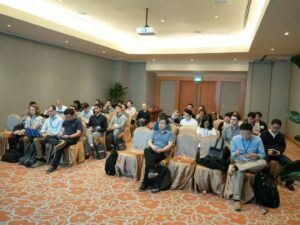 At least one author of each accepted paper is required to register for the ICDM 2018 conference and present their work at the workshop.